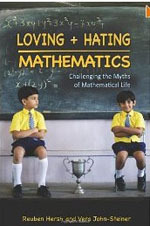 Loving and hating mathematics is an intriguing title, but it doesn't tell you what this book is about. 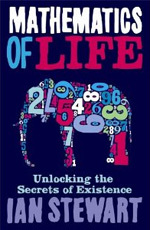 More informative is the subtitle: Challenging the myths of mathematical life. 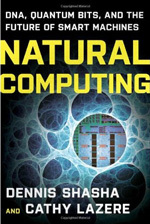 The book is a collaboration between a mathematician, Reuben Hersh, and a psychologist in the fields of linguistics and education, Vera John-Steiner. 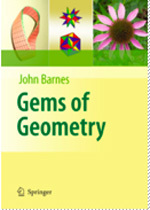 When Gems of Geometry arrived through the post it seemed the Gods had conspired to despatch the perfect book for me to review. 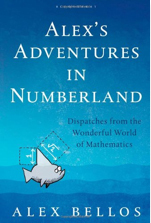 Like the author, John Barnes, I have a fascination with Edwin Abbot Abbot’s Flatland and spent many childhood hours gluing paper models of fantastical geometric constructions together. 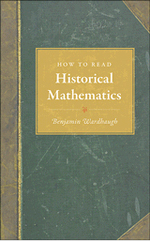 Benjamin Wardhaug's book is entitled How to read historical mathematics and this is precisely what it is about. 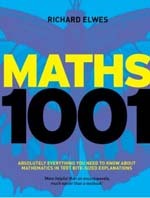 It is an introduction to the marvellous world of the history of mathematics, aimed at the general public. 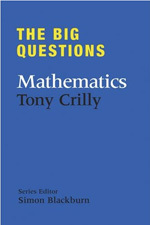 You will not learn a lot either about mathematics or its history, but you will be much better prepared for reading old mathematical masterpieces after this book.